Boeing Co's orders and deliveries sank in the first quarter, with zero new orders for the 737 MAX following a worldwide grounding in March in the wake of two fatal plane crashes. Chicago-based Boeing's first-quarter 737 deliveries tumbled about 33 percent, pushing total aircraft deliveries down 19 percent to 149 from a year earlier. 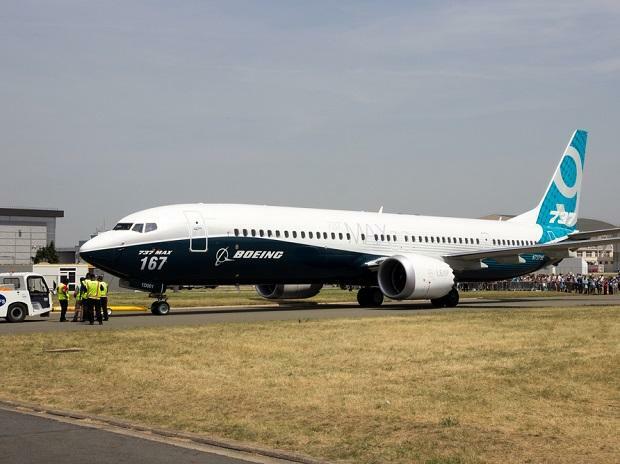 Boeing delivered just 11 MAX in March before the suspension. Deliveries are financially important because that is when planemakers receive the bulk of money from airlines' purchases. "A fix and removal of the grounding prior to September 2019 could be perceived positively," Jefferies analyst Sheila Kahyaoglu said, noting that fresh scrutiny of the certification process could potentially filter into Boeing's 777X program. Boeing's shares, which have lost about 13% since the crash, were down 1.66 percent at $368.32 in afternoon trading. The latest variant of Boeing's 737 family, which makes up the bulk of its narrowbody production, has been viewed as the likely workhorse for global airlines for decades and central to Boeing's long-running battle against Airbus.